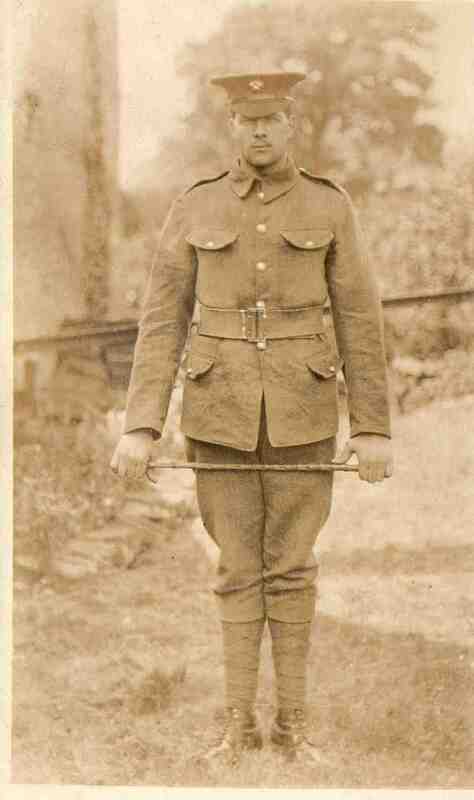 Private Bertram Hall 24935 4th Battalion Grenadier Guards. SEE NOTE BELOW. Photograph courtesy of Barbara Cawkwell. Born 1893 at Treeton, Yorkshire. Private Bertram Hall 24935 4th Battalion Grenadier Guards. Killed in action on the Somme on the 25th September 1916 aged 21. There is no grave but Private Hall’s name appears on the War Memorial in Killamarsh. His parents were George and Annie Hall and the family lived at 22 Green Lane (with the little shop at the front).